Learn about our interior, exterior and cabinet painting services at Alliance Painting. Serving the greater Dallas-Fort Worth area. Choose our top-rated painting company for your next home improvement project. Are you tired of the wall colors in your home? Want to give the exterior of your home a fresh coat of paint for increased curb appeal? Ready to upgrade your old, worn-out kitchen cabinets? Our painting crews at Alliance Painting can address all of these issues and more with our high-quality painting services. We know you have a choice when it comes to selecting a local painter in the DFW Metroplex.  That’s why when you choose our painting company, you can rest assured that we’ll provide you with excellent craftsmanship as well as excellent customer service. Our crews are trained to help you decide on the perfect paint color for your project, and you can count on us to execute the little things with excellence. Simply give our office a call, and we can provide you with further information about your specific painting project’s costs and services.  Get your free painting estimate today. Alliance Painting understands that one of the most important rooms in your home is your kitchen. Because of this, we’ve crafted a proprietary process to refinish your cabinets. Each of our crew members specializes in cabinet painting. Given that your kitchen is so important in your daily life, cabinet refinishing can be a very invasive process. Our crews will do all our cabinet work in your kitchen. This requires detailed preparation work to ensure all your countertops, appliances and flooring are properly covered. A typical cabinet job takes anywhere between three to four days. It’s also a very smelly endeavor — we always advise our clients vacate their homes during a cabinet painting project. Cabinet refinishing is an economical way to give your kitchen a new look when compared to replacing or refacing your cabinets. The transformations are truly unbelievable — see for yourself by scheduling a service! Alliance Painting is the preferred choice for exterior painting services in the greater DFW area. Our mission is to ensure the outside of your property looks brand new, ultimately increasing its overall value. On top of that, we’ll ensure you’re 100 percent satisfied with your color choice before committing to your project. The most important and time-consuming portion of an exterior paint project is the preparation. We always begin with a pressure wash. This step is designed to clean all the surfaces that will be painted. This part of the process is also where we can knock down wasp nests, mud-daubers and spider webs. Most homes in Texas have wood-rot somewhere on their home. Our crews specialize in wood-rot repair — if you have rotted wood, we remedy this after the pressure wash. The next step in the process is to caulk and seal the home, which is when we run a bead of caulk in all joints on surfaces to be painted. We use a paint-spray application, so preparing your home for spray is crucial. We take the proper measures to ensure no overspray occurs. Alliance Painting specializes in fine residential interior painting. When you choose us for your interior painting services, you can rest assured that we’ll tackle your project with care and efficiency. From choosing your perfect color to minimal downtime, our team is one of the best in the area for a reason. When it comes to painting your walls and ceilings, it's critical to properly cover and protect your home. We use brand new floor and furniture coverings on every project in an effort to decrease dust and dirt and to prevent spills and drips. We take pride in achieving uniformity when painting walls and ceilings. To achieve this, we always maintain a wet edge (cut-in). We properly prepare surfaces like your wood trim and doors by cleaning with a thinner solution and a scuff sand. Your home is a reflection of your personal taste and style. As a painting company, we understand your personal tastes and styles can fluctuate as you grow and adapt to life changes. If your current wall color doesn’t speak to you anymore, or you recently bought a home and want to add your own personal flair to it, a fresh coat of paint can work wonders! At Alliance Painting, we offer an array of painting services to Colleyville and the greater DFW area. With several years of industry experience, we know how to help you find your perfect color match and we’ll ensure you’re 100 percent satisfied with your project from beginning to end. Contact us today to receive a free quote on your project. On top of our reliable painting services, our crews are trained to tackle additional home improvement services — making us your one-stop shop in the area. Below, we’ve listed a few other home services you can receive when working with Alliance Painting. Popcorn ceiling used to be a popular ceiling choice in the late 1930s through the 1990s, but unfortunately, these ceilings just aren’t as “in” as they once were. They collect dirt, dust and grime, leaving your ceilings dirty and dated. Removing popcorn ceiling yourself can be difficult and time-consumer. If you want to get rid of your outdated popcorn ceiling, we’re your popcorn ceiling removal experts.  Call today to get a quote.  Alliance Painting is a certified wallpaper removal contractor, and it’s something we have experience doing weekly. It’s a very common practice for our crews, and it’s an effective way to update and transform the look of your home. If you need a wallpaper removal professional, contact our team to learn more about our specific services. A “no pushback” mentality: We will take care of it if we caused the issue.  We consistently receive an A+ rating from the Better Business Bureau and we offer unrivaled warranties for our clients. There truly is no better team for your project than our team at Alliance Painting — read more testimonials from previous clients here. Contact us today to get started on your next home improvement project.